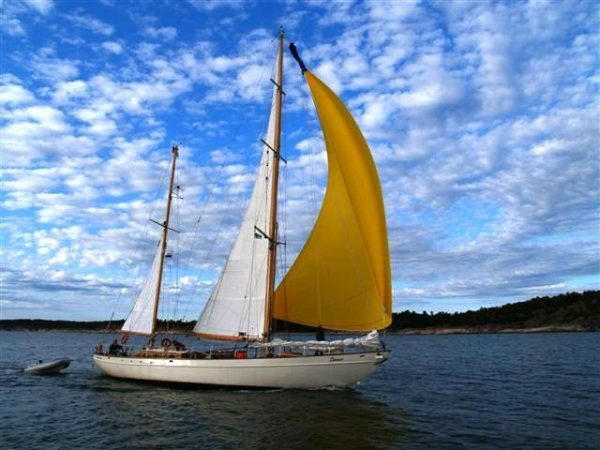 A fully restored classic German Regatta Yacht, built of riveted steel by the famous Kiel Shipyard Deutsche Werke in 1932. 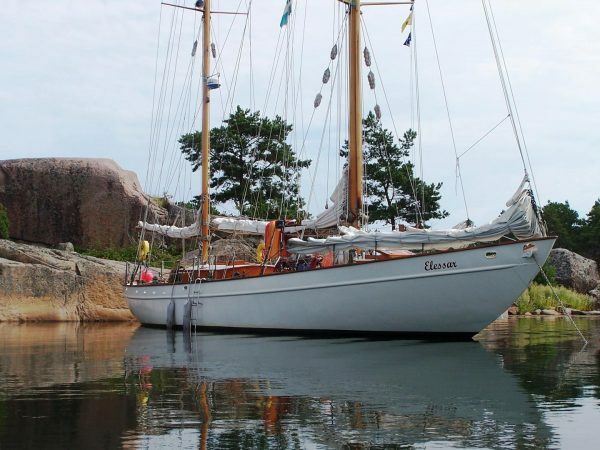 Elessar, named after a character from Tolkien’s famous stories is thought by nautical historians to have been designed by the gifted naval architect Max Oerzt. 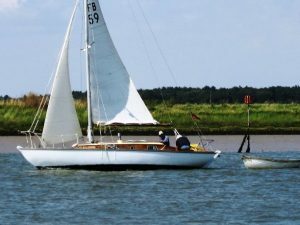 A German contractor order the yacht in the early 1930’s from Deutsche Werke to complete in bluewater regattas, launched in 1932 as Seefalke, (Sea Hawk) After the Second World War she turned up in Holland under the name of Navar. in 1950 her then owner gave the vessel a major refit prior to using her for charter work. In 1990 Elessar was discovered neglected and ashore in Villamora, Portugal. 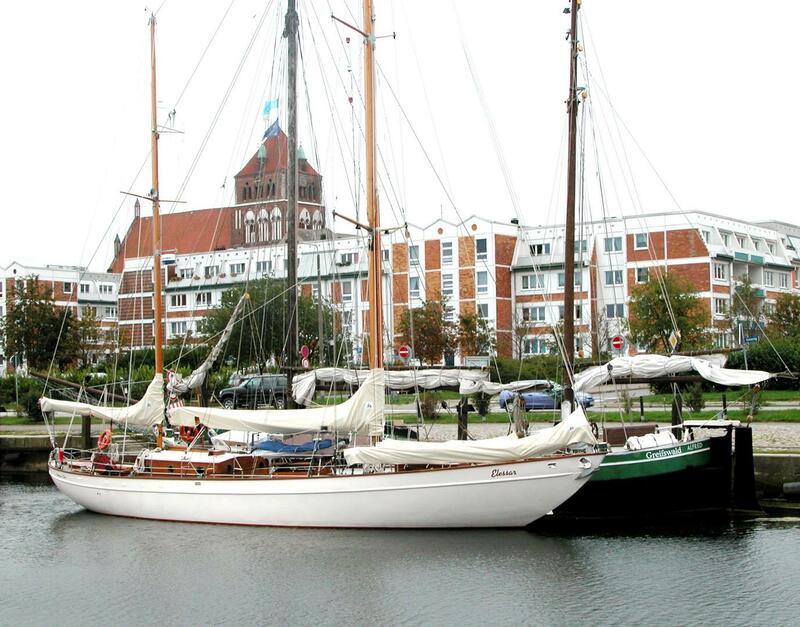 Work began to prepare to sail the vessel to the River Elbe in Germany, which turned out to be an eventful trip. 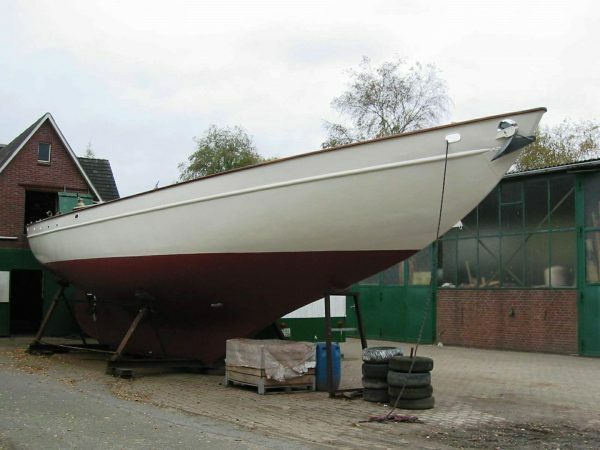 The extensive restoration in 2002/03 included stripping the vessel to a bare hull, sandblasting and re-plating to a minimum of 6mm. 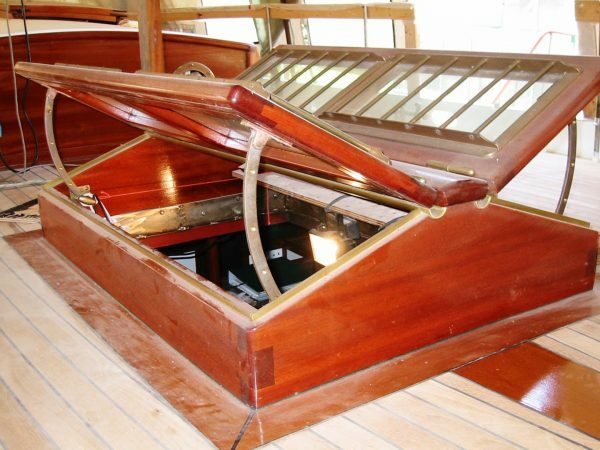 New teak on marine ply decks were fitted, new skylights, and mahogany cockpit. The steel frames, floors beams and stringers were refurbished or replaced. 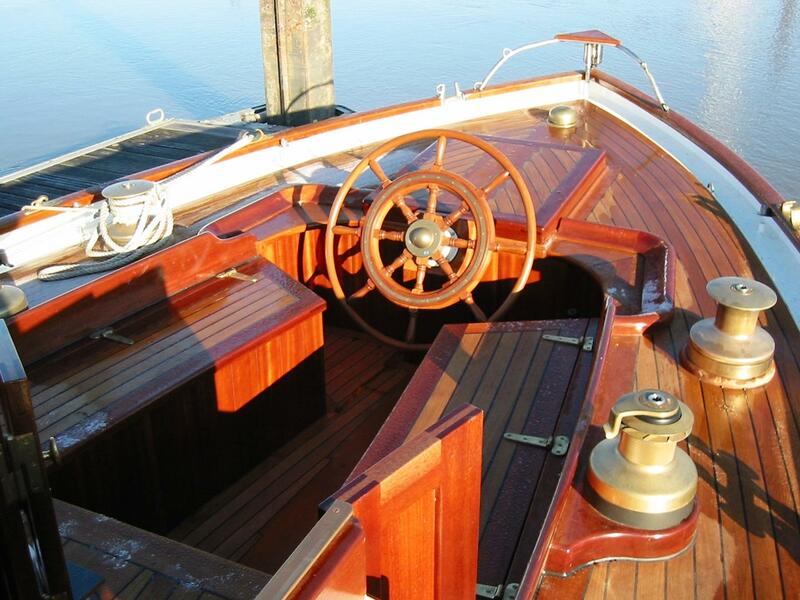 Completely replaced interior with new electrics, plumbing and navigation equipment installing the latest onboard technology. 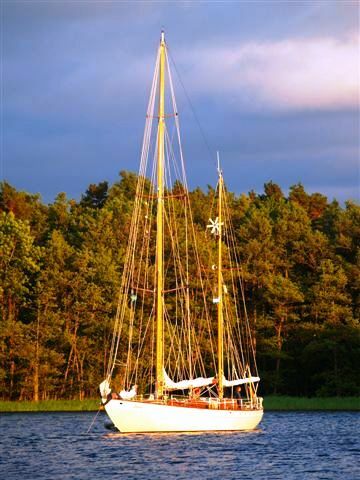 Since the re-launch at the end of 2003 Elessar’s owners have cruised extensively throughout the Baltic and in 2005 the Atlantic and Mediterranean. 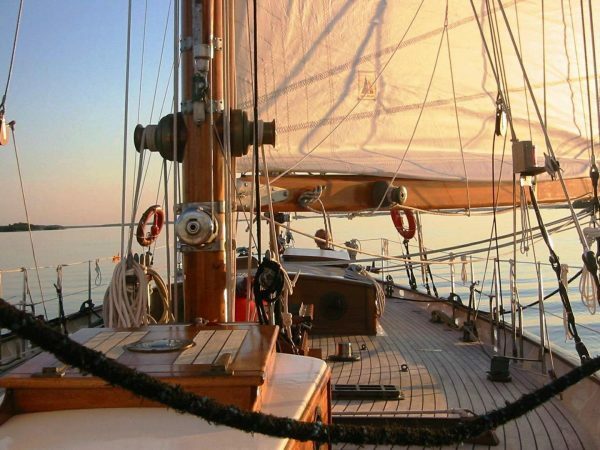 During the trouble-free 25,000 miles, live-aboard cruising the vessel has been a comfortable and fast passage maker. 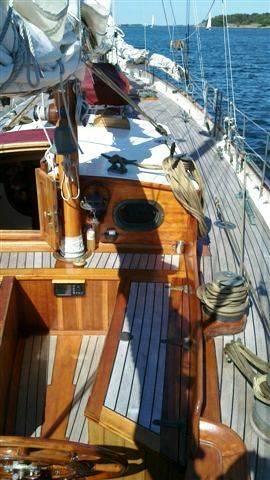 New mainmast 2006 and original Spruce mizzen. New booms and spars. 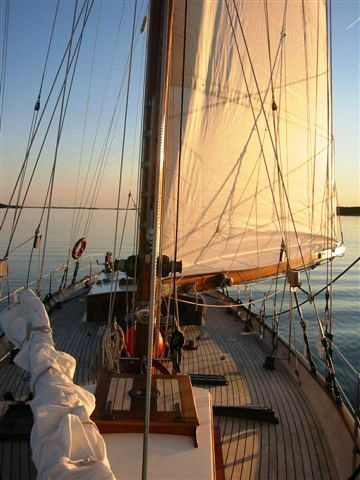 Dacron mainsail, mizzen, genoa, staysil, jib, mizzen staysail. Nine Barrient and Lewmar winches. 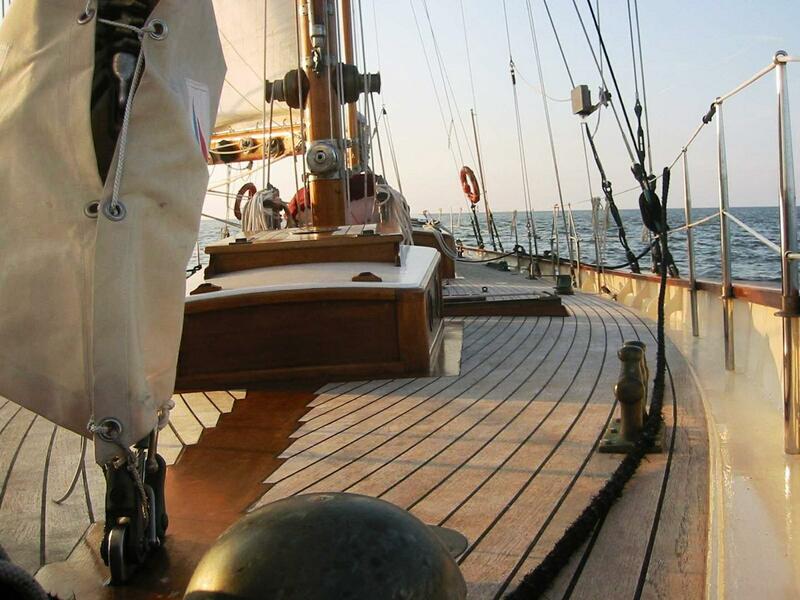 All bronze and stainless steel hardware and traditional wooden or tufnol blocks. 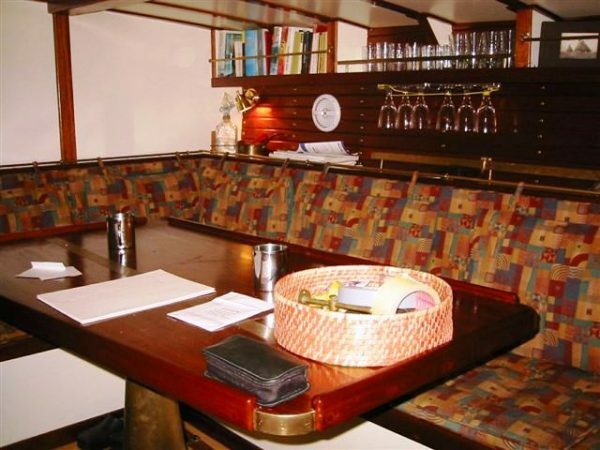 Sail covers, awnings. Battery charger, Aeronaut windpower, solar panels, 2kw inverter. Reflecks diesel heater with radiators throughout. A comfortable, well thought out interior for extended cruising and living aboard. 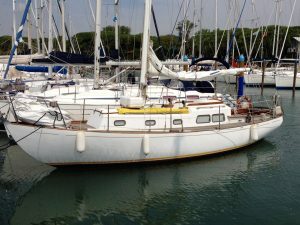 Twin berth fore cabin with deck hatch and ladder. 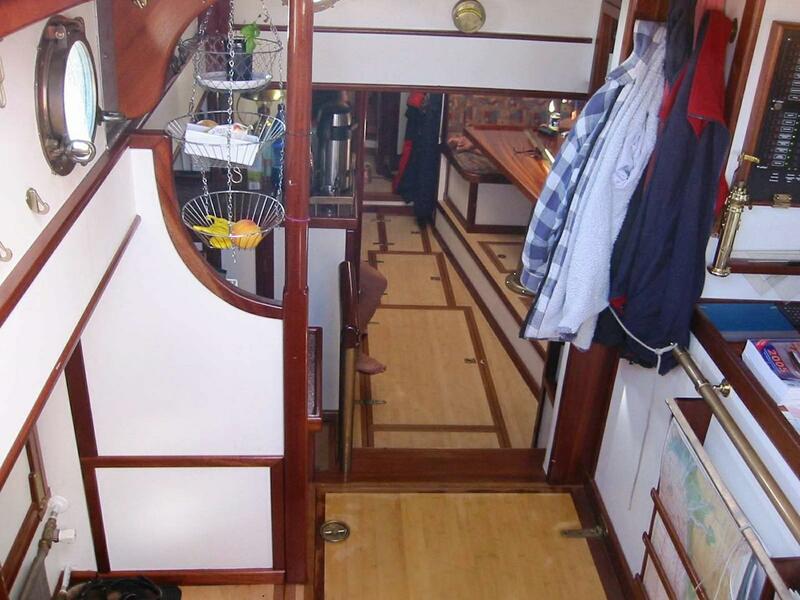 Passageway cabin with two further berths. Port side heads compartment. 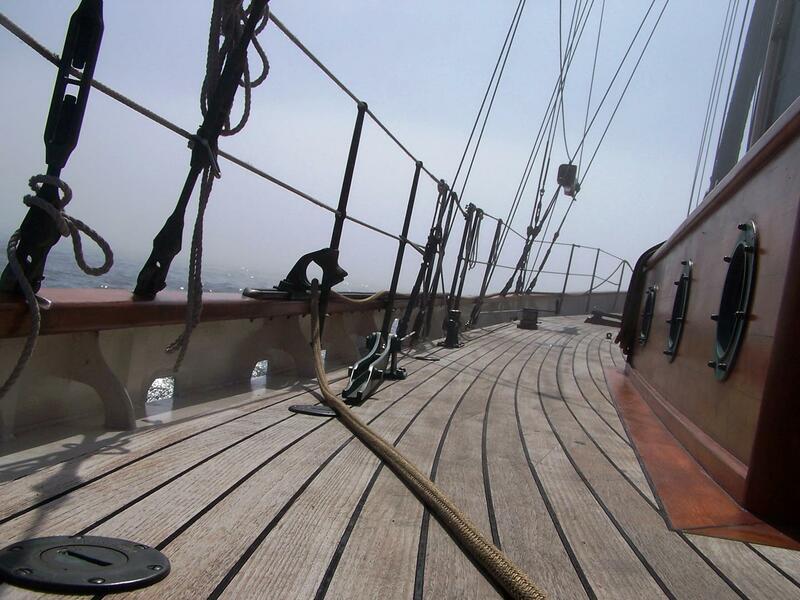 Separate shower to starboard. 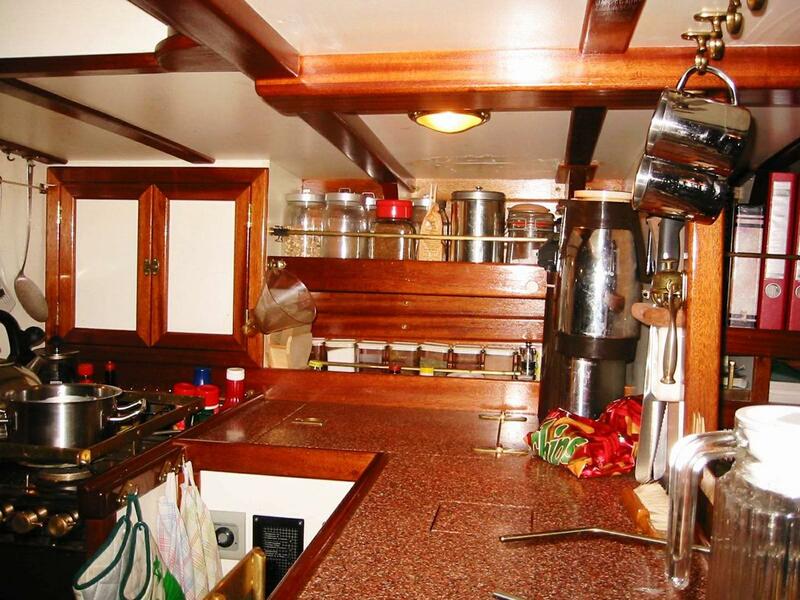 Sea-going galley to port. Owners double cabin to starboard. Open plan saloon with settees, table and writing desk. Companionway with navigation/chart area to starboard. Large aft cockpit with wheel steering. Main CQR anchor in bow roller with 100 metres chain having a Muir anchor winch and capstan. Inflatable dinghy, 8 person liferaft, lifevests, harnesses, lifelines, danbuoys, warps, fenders, first aid. 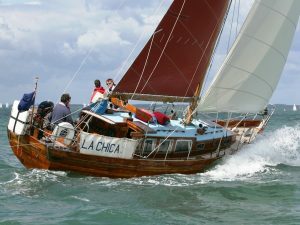 Deck shower, bathing ladder, four fire extinguishers, cockpit and spreader lights, sailing, running and anchor lights, fog horn, manual and 24-volt bilge pumps, fishing gear. Two burner gas cooker, fridge, washing machine, dishwasher, CD/radio, TV, DVD player. 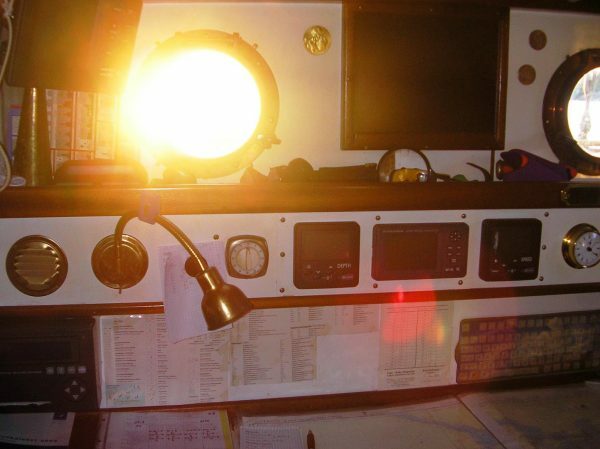 Furono chart plotter / GPS, Navico VHF / GMDSS, Robertson AP20 autopilot, Navman log and sounder, Yaesu ssb, Seal Marine weatherfax, Navtex, Siemens mobile fixed installation. 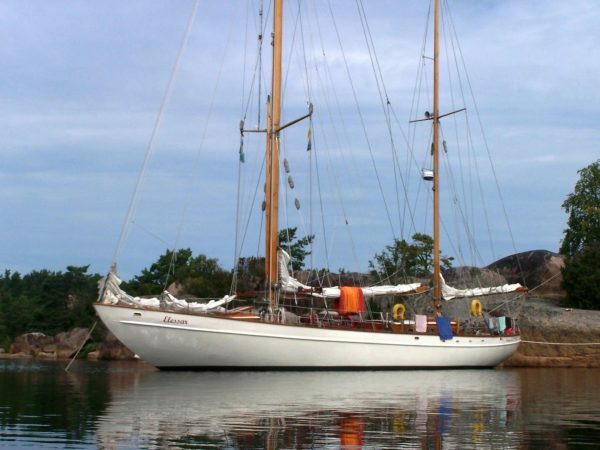 A rare canoe sterned, steel classic regatta yacht, fully restored in present ownership and extensively cruised. A well maintained and equipped passage maker offering modern convenience with classic style.